Vaulting is a combination of gymnastic, dance, and acrobatics on a moving horse. Click the button below to learn more. All Inclusive Horsemanship stands for integrating and facilitating everybody interested in horses. Our specialty is vaulting. 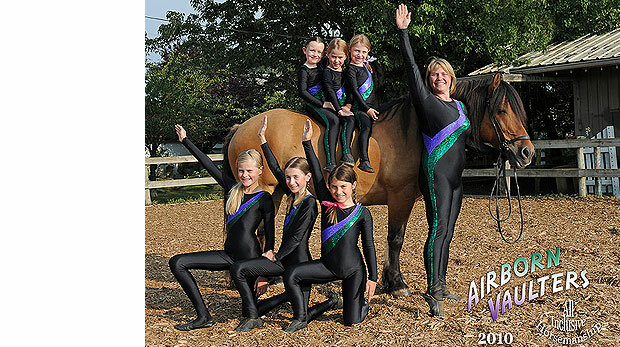 All Inclusive Horsemanship’s vaulting club, the Airborn Vaulters, is currently the only club offering equestrian vaulting in Vancouver. 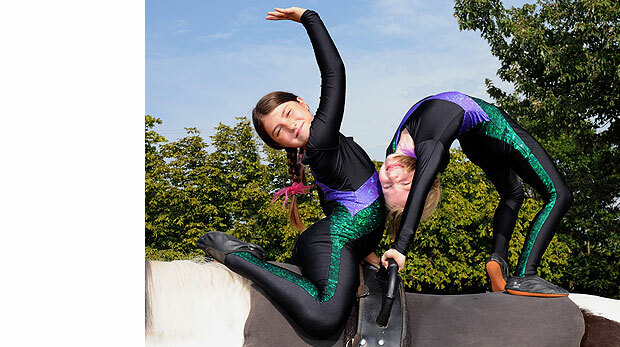 In addition to vaulting, we offer a broad range of equestrian activities. For our youngest horse lovers, we offer safe, fun pony rides through the picturesque Southland's neighbourhood. We offer lessons on calm and experienced horses in a range of sizes that will give their riders a safe start into their equestrian sport. Equine assisted therapy for clients with disabilities has many benefits. Students experience physical, emotional and psychological rewards.